Is your existing marine railway in need of repairs or replacement? 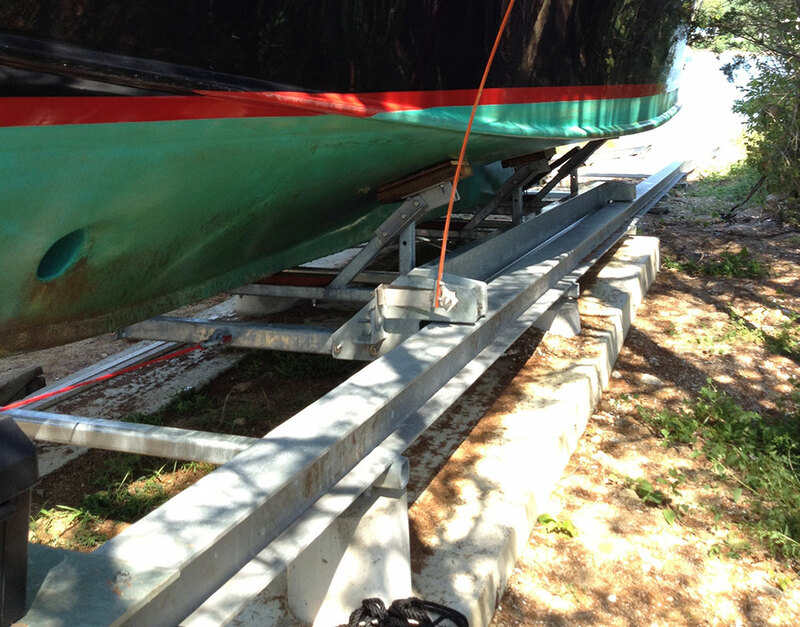 Beebe Dock & Mooring Systems has the knowledge and experience to correct the damage, or create a new one. Contact us to hear how our systems have allowed yacht owner to haul a vessel right in their own back yard. 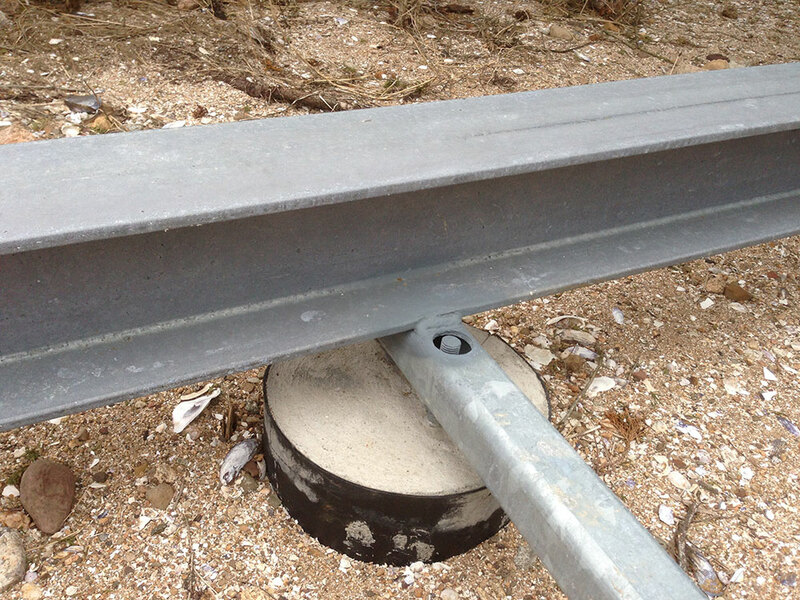 Up-close details of a recently completed marine railway, showing the custom boat support/railway car and cement foundation. Launching your private yacht could not be any easier. Just slide it down and it is in the water, or haul it quickly before a storm. You are in full control. 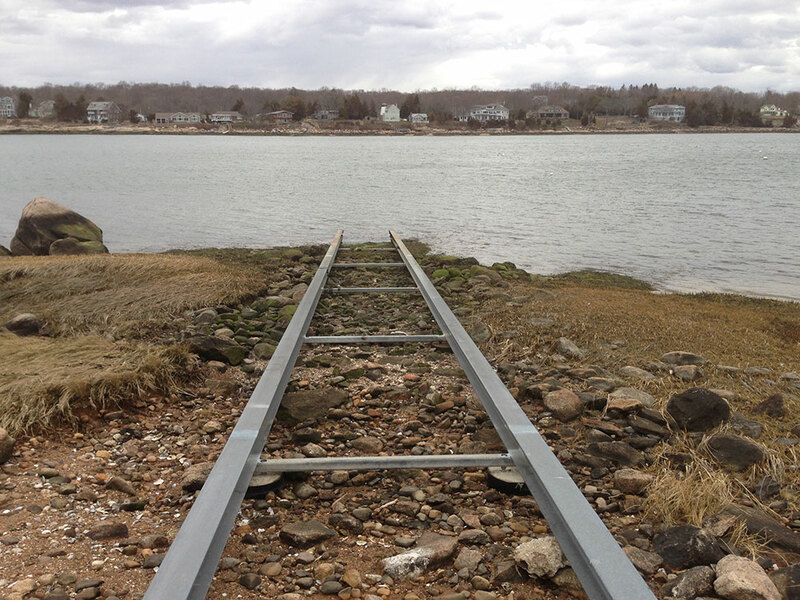 Even though the shore is soft, this new marine railway was solidly secured and supported to prevent movement.